For those who are unfamiliar with Latin Trap, it is very much a reflection of traditional trap music peppered with hints of reggaeton and cumbia. Bad Bunny is precisely the bold figure you want in a Latin Trap artist right now—evident from his ever-changing hair, to painted nails, all encapsulating his unique persona. That’s not to distract from his musical style which has a cadence and flow that can interchange from Spanish to English with ease. This is most notably encountered in his most significant breakthrough to date, “I Like It” with Cardi B which hit #1 on the Billboard Hot 100 this summer. Bad Bunny is the subject of an in-depth interview in this month’s issue of The FADER in addition to gracing the cover. The magazine, which is well known for being at the forefront of what’s next in music has featured several Latinx artists over the last few months. The article is available in both English and Spanish. 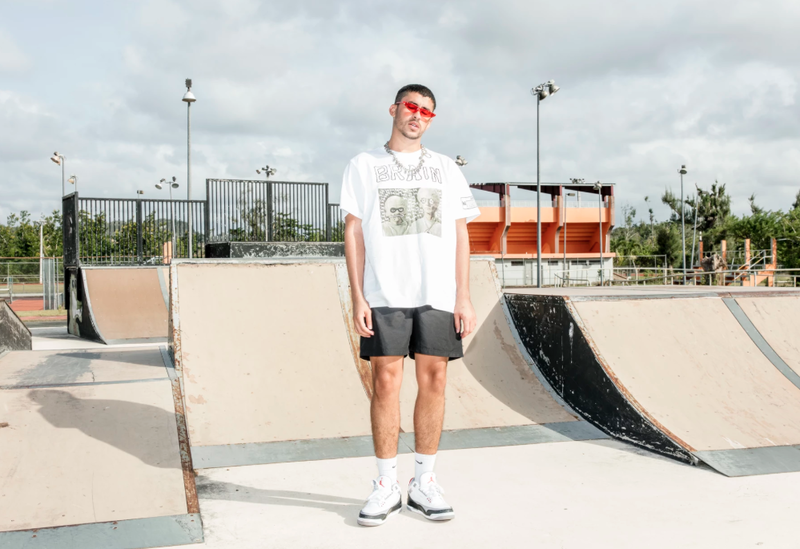 The FADER traveled to Bad Bunny’s home in Puerto Rico where he is currently recording his first full-length album, La Nueva Religion, for one of his most candid interviews to date.